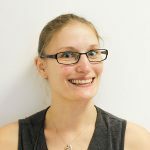 The impact of domestic violence and abuse on children and young people - Blog - HSR Psychology - Clinical and educational psychology service for children and young people, based in Manchester. Domestic violence and abuse (DVA) includes a range of actions and can impact children and young people in very different ways. Some children and young people can be encouraged to join in with the abuse of one parent. Any incident or pattern of incidents of controlling, coercive or threatening behaviour,  violence or abuse between those aged 16 or over who are or have been intimate partners or family members regardless of gender or sexuality. This can encompass but is not limited to the following types of abuse; psychological, physical, sexual, financial and emotional. DVA in a household usually gradually increases, meaning that it can be difficult to identify when the behaviour is out of the ordinary. Children and young people who don’t really visit their friends’ houses might not realise that their homelife isn’t ‘normal’. 90% of children were in the same or next room when the violence was taking place (Hughes, 1992). This ongoing exposure to DVA will impact a child’s coping mechanisms, leading some to create a fantasy life. There are times when the abusive parent is very kind and caring to their children, so their partner doesn’t want to leave because they’re a ‘good parent’. This also creates an inconsistent homelife for children and young people, causing them to be in a high state of anxiety while they work out what mood the abusive parent is in. NSPCC are a charity focused around protecting children. Having one parent undermine the other and encouraging their child to also abuse or make fun of them disrupts the attachment between parent and child. Attachment can be disrupted in many ways due to being emotionally unavailable, physically unable to comfort their child or through mental health difficulties. Education is also impacted as children and young people may not have their basic needs met in order to concentrate and reach their potential. Children and young people who experience DVA may also find it hard to concentrate due to increased states of anxiety. Homework may be a low priority, meaning that a child or young person who regularly doesn’t complete their homework may have difficulties at home. Some children and young people try to manage the abuse at home through diffusing the situation which puts the individual under a large amount of stress and anxiety through increased responsibility. The earlier that DVA is recognised and supported, the more likely we are to reduce the impact on the child or young person. Children who have experienced DVA, in particular sexual abuse, are at an increased risk of being affected by child sexual exploitation (CSE). Find out more in the document Exploring the relationship between neglect and child sexual exploitation, produced by NSPCC and Action for Children. 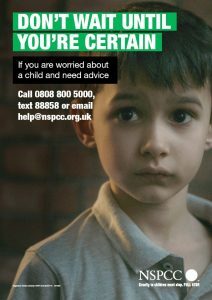 If you are ever concerned that a child or young person may be involved in DVA then you can talk to the NSPCC directly, or the safeguarding lead in your setting. If a child or young person has disclosed that they are being abused or that a parent is, then there are a number of steps you can take to help. Psychological and emotional abuse between parents has a long-lasting effect on children. The three houses assessment tool is a good way to talk to children and young people about their home life. NSPCC research found that 1 in 7 children and young people will have lived with domestic violence at some point during their childhood. This statistic is alarming, and could involve up to four students in a class of 30 experiencing DVA. Our psychologists provide services to support children and young people living with or who have experienced DVA. We also provide training to professionals so they feel more confident if faced with a situation of DVA.